The LA Auto Show is one of the biggest automotive events in the US, so of course we had to participate and spread the word about how we are making car ownership easier and more affordable. Armed with a giant bear (one of our photo booth props) and ample excitement, we headed down to Los Angeles to show off our pay-per-mile insurance offering and smart driving app. 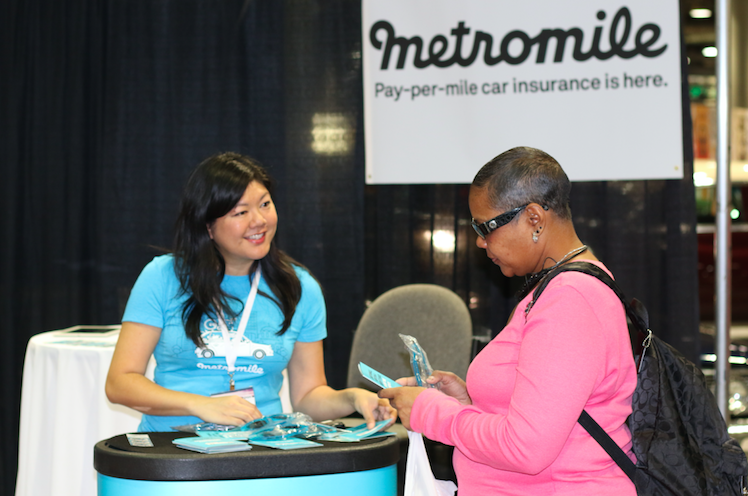 The Metromile booth was located in the Tech Zone, where we joined other companies pioneering automotive innovations such as Honk (on-demand roadside assistance), Lyft (ridesharing services) and Luxe (on-demand valet). 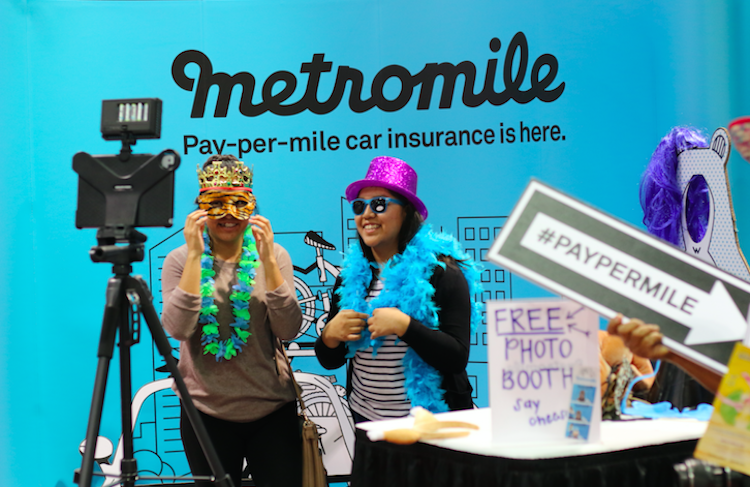 To make our exhibit fun and interactive, we had a giant photo booth where attendees could take photos with goofy glasses, turkey hats (in anticipation of Thanksgiving) and the cartoon characters you might have seen in recent Metromile ads. If you are wondering what a bear with a longboard has to do with an insurance company, well, it’s pretty clear he doesn’t drive much and could save a lot with pay-per-mile insurance. Our Director of Business Development, Katy Allen, also led a discussion at a networking lunch during the Connected Car Expo, an event running alongside the LA Auto Show. The discussion focused on the future of car insurance and unearthed some interesting insights about how technology is being used to make insurance more affordable (hint: like using the OBD-II port to measure exact mileage). The show ran from November 20th to the 29th. If you are interested in checking it out next year, make sure to check out the LA Auto Show website for more information.